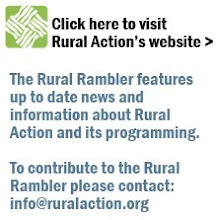 This week, Rural Action is wishing for certificate paper and/or certificate folders. We use this fancy paper to commemorate individuals who serve their community, especially for VISTAs at the end of their service. If you are interested in donating, please contact Candi Withem, AmeriCorps VISTA and Human Resources Director.